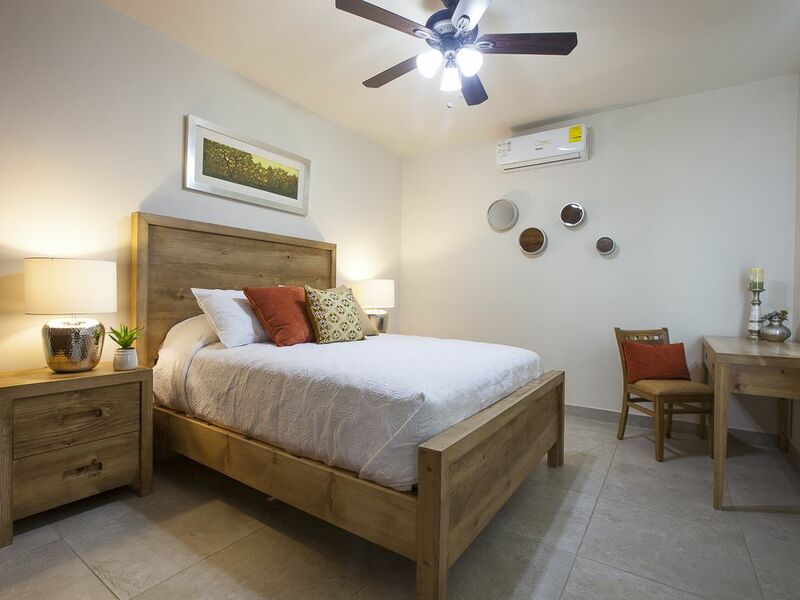 Beautiful new apartment located only 5 minutes drive from the malecon, in a semi residential neighborhood, there are many restaurants and convenience stores around it, very tranquil at night. Master bedroom with queen size bed and closet. Second bedroom with twin beds and a drawer. Kitchen is fully equipped with fridge, stove, oven, coffee maker, toaster, pots and pans and cooking essentials. Full bathroom with hot and cold water, we provide shampoo and conditioner, bath towels and beach towels.Laundry room with washer&dryer. Smart Tv with amazon prime and another apps for personal login. Parking spot for two cars. Concierge services available.